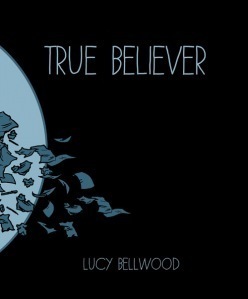 Lushly illustrated, "True Believer" is Lucy Bellwood's rallying cry for all comic artists; part manifesto, part love letter, her commitment to the medium is completely inspiring. The book touches on friendship, mortality, and the uncertainties of growing up, but it never loses its focus on the comics. With her obvious passion and talent, Bellwood is clearly on her way to an acclaimed career in the cartooning world.